DID YOU HEAR? Fun In The Son South Padre is NOW Fun In The Son Gulf Coast! 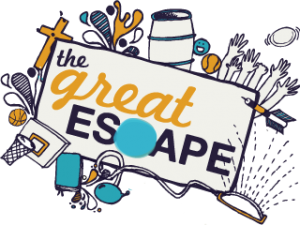 We’re taking FITS up the coast to Galveston Island, TX from July 8-12th and we are so excited about this new adventure! 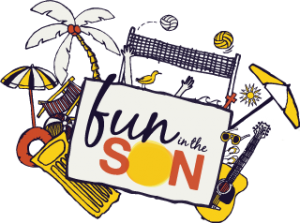 Everything you know and love about Fun In The Son will be there along with more! We’ll spend a week exploring a new island, seeing old friends, and diving deeper into our faith. Are you up for a new experience? Give the YCM office a call to see how you can get your group one free registration! Sign up today! The conference begins MONDAY afternoon with registration and is over Thursday night. Housing is provided Thursday night however, no breakfast will be served Friday morning. Everyone is staying at the Tremont House. All rooms have 2 queen sized beds. Please know that we do try to maximize room space in order to keep trip costs low for your students. In rare cases, a person may be asked to sleep on a pull out cot. Breakfast, lunch and dinner are all provided as part of your conference cost, with the exception of one night “out” with your group. We will feed you beginning with dinner on Monday night and your last meal will be dinner on Thursday. On Wednesday night, you and your group are free to go out to dinner somewhere on the island together (you will be responsible for costs). We will also offer an optional meal at the venue on Wednesday night if you do not want to leave the facility and go out to eat. The mornings will include an option for early worship, breakfast, teaching seminars, and corporate worship. We are also offering special, daily training for youth workers. After lunch you’ll have time to be with your kids – on the beach or at either of the water park facilities located where we are staying. A variety of recreation activities and tournaments will be organized for some afternoons. The evening schedule will include dinner, the evening session, family time (with your church family), and finally lights out. A more concrete schedule is in your conference handbook. There should be one adult for every six youth you bring. There should be male counselors for male campers and female counselors for female campers. Each student coming to Galveston will need to complete a YCM 2019 Medical Release Form. Please bring two copies of each medical form with you – one for you to hang on to and one to turn in to our staff when you register Sunday evening. Everyone in your group should bring towels for both bathing and the beach (these will not be provided by the hotels). You’ll need all your beach gear: sandals, modest swim suits, sunscreen, frisbees, etc. Don’t forget a Bible, pen, and notebook. You might want a sweatshirt or long-sleeve shirt for the big group meetings as the meeting rooms are usually cold! Important: Please make sure your group has one sleeping bag and extra pillow for every fifth person in the group. Finally, you will want to bring spending money for snacks, Fun in the Son t-shirts, CDs, books and other items available to purchase. What age students can come to Fun in the Son? We consider this a high school event, so it is planned for students in grades 9 – 12. We leave it to the group leader’s discretion as to whether rising 9th and/or graduated 12th graders should attend as part of their group. More than age, maturity is an important consideration. 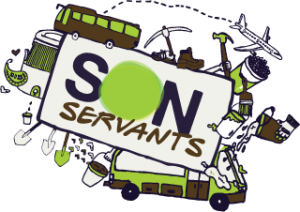 Remember, Fun in the Son is counselor-centered, meaning you are responsible for your students at all times. Depending on which Fun in the Son you attend, your group will be housed in either a hotel room or villa on or close to the beach. It is best if you can have transportation for the entire week. Some hotels are farther from the convention centers than others (although all are within 3 miles) and you will need to go back and forth several times a day. In addition, some camps have a free day built into the schedule, and your group will probably want to explore the area!